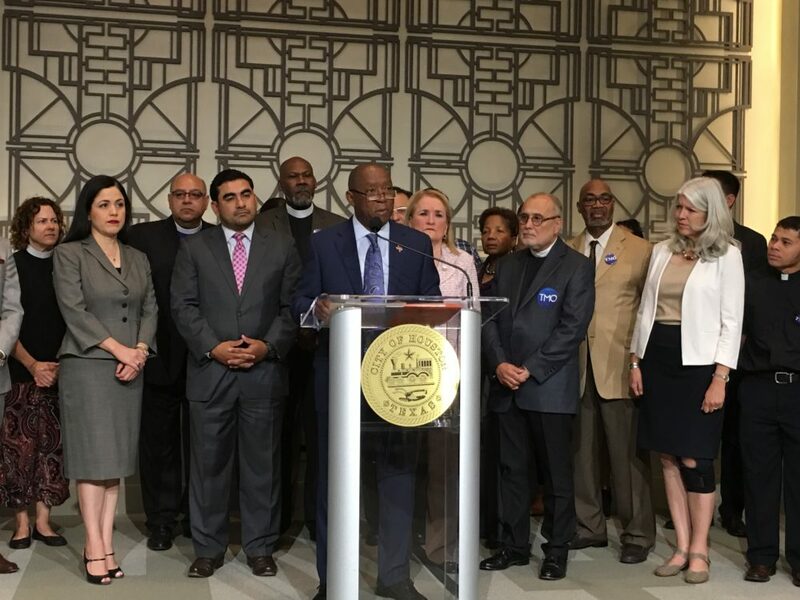 Houston Mayor Sylvester Turner (center) speaks during a press conference at City Hall on Sept. 14th. 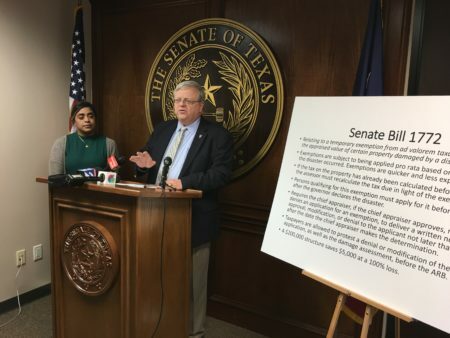 He asked local landlords and management companies to grant a one-month grace period to tenants who were impacted by Hurricane Harvey and are having a hard time paying their rent. 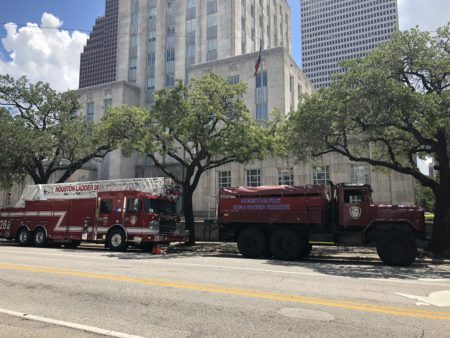 In the wake of Harvey, many Houston residents who rent homes or apartments are going through difficult times, and Mayor Sylvester Turner is calling on landlords to be part of the solution. Many Houstonians are scrambling to pay rent, so Turner is asking landlords and management companies to grant their tenants a grace period this month. It is just a request, because Turner can’t force the landlords to do that. “My hope is, and the appeal that we’re making to landlords is for everybody to recognize that this was an unprecedented storm, an unprecedented rainfall, and we just need to work together. We’ve done that exceptionally well in the city of Houston. We need to continue that spirit even right now,” the mayor said during a press conference Thursday at City Hall. He was accompanied by several members of the City Council and the Texas Legislature, as well as local religious and faith leaders. The city says it wants to work in collaboration with landlords and not antagonize them — but can also get tough by ramping up health and code inspections. The Metropolitan Organization (TMO), a local advocacy group helping renters in distress, says one of the problems is some landlords use computerized systems that charge penalties for late payments automatically. That happens regardless of the fact Houston is in post-Harvey recovery mode.